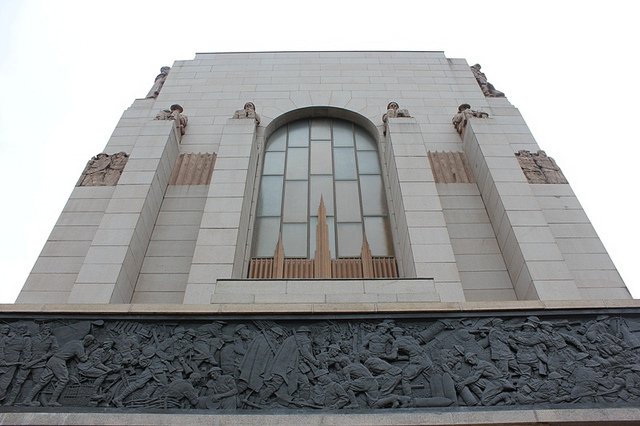 The ANZAC Memorial was created as a place to remember the Great War (1914 – 1918). It is both a work of art and a remarkable piece of architecture. 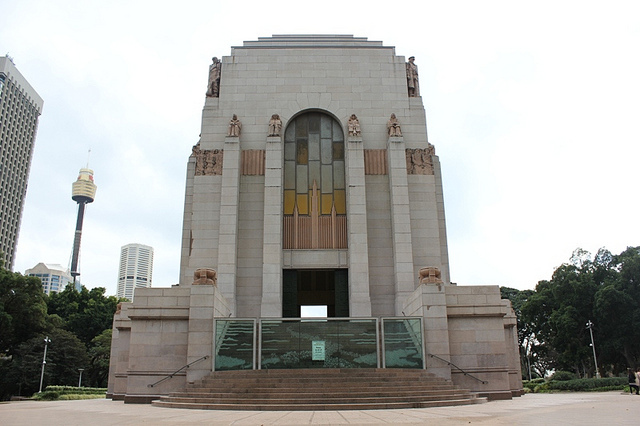 Designed by George Rayner Hoff an English sculptor, in collaboration with Australian architect Charles Bruce Dellit, the memorial is a key site for individual and communal reflection upon the sacrifices of Australian servicemen and women in NSW. It is both welcome space for veterans and commemorative site, and is designed as an expression of “those nobler attributes of human nature which the great tragedy of nations so vividly brought forth – Courage, Endurance and Sacrifice”. The collection focuses on the story of toil and sacrifice for every individual affected by war. There’s a wide range of material, from film and oral history to work of art, large objects, and personal letters and diaries. Each day at 11am, a daily ceremony of remembrance is held at the memorial where visitors are invited to pause for a minute of silent reflection. There are several reflection spaces including the Dome of Stars, Pool of Reflection and the Well of Contemplation. 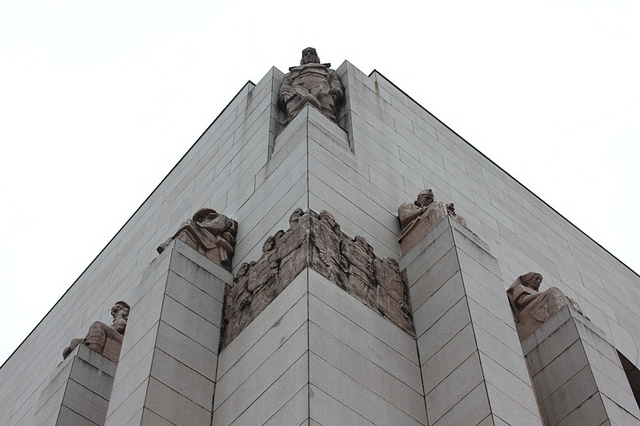 Buttress sculptures adorn the walls and pay tribute to the men and women of the war: seaman, mechanic, aviator, nurse, surgeon, light horsemen and more.